Why wait until you’re on holiday to begin eating well? We’re always being asked for recommendations of good restaurants to stop at on the way to Cornwall, so we’ve decided to share with you our favourite gastronomic pit stops. NB click on map for a larger version. The Sanchez-Iglesias family’s former trattoria serves a seasonally changing tasting menu. Talented brothers Jonray and Peter run the kitchen, which has held a Michelin star since 2009. Allow plenty of time to enjoy the elegant and innovative food here. Tucked away in a walled garden just south of Bristol you will find the wonderful Ethicurean. 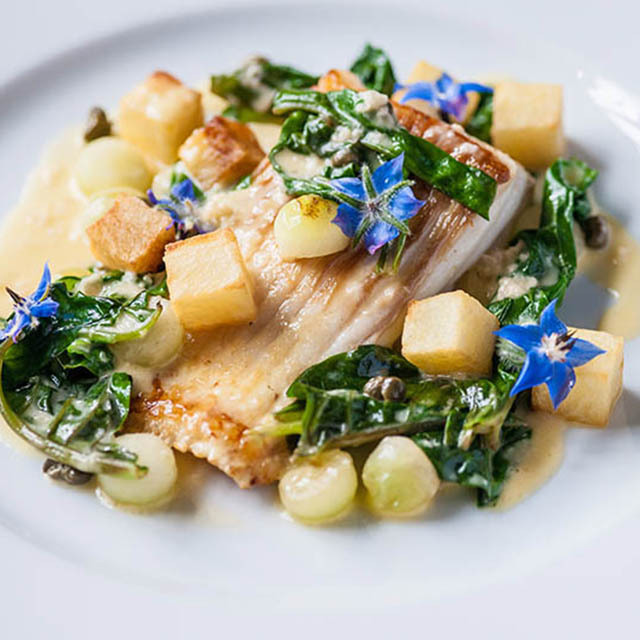 The restaurant is housed within the formery orangery, and has a strongly ethical ethos, serving entirely local, seasonal, foraged and sustainable produce. 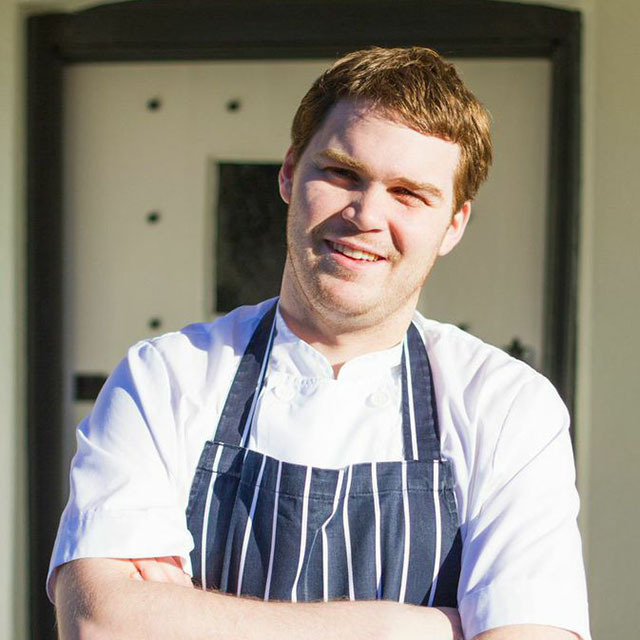 Head chef Josh Eggleton (pictured below left) and his sister Holly (front of house) run this Michelin-starred pub in Chew Magna. Coming in at no 2 in the 2015 UK Top 50 Gastropub Awards, the food served here ranges from special pub grub to fine dining tasting menus. You might want to stop at this 15th century manor house for more than a meal. The beautiful “restaurant with rooms” offers “farm to plate” gourmet dining (pictured above right) and head chef Olly Jackson is passionate about using local, seasonal produce with many ingredients grown in the garden. The Limewood’s restaurant is a collaboration between Luke Holder and Angela Hartnett and serves Italian-influenced English food. Pop in for afternoon tea, lunch in the Raw & Cured food bar, or pre-book the Kitchen Table for a special feast. 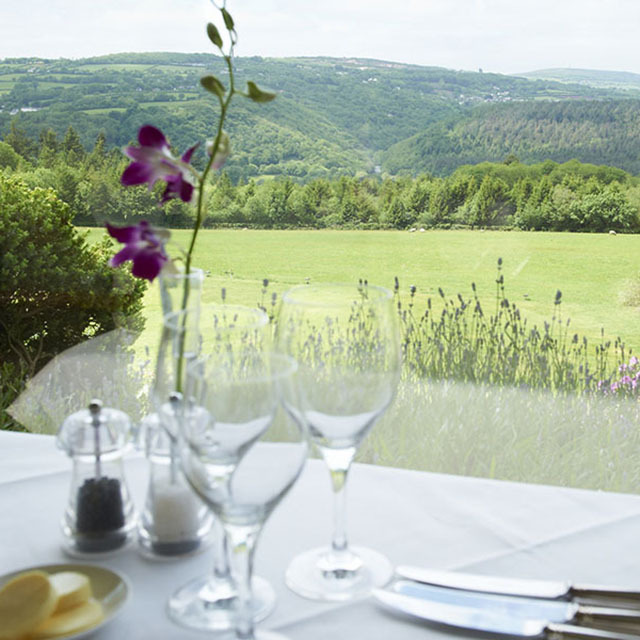 The smart restaurant at Gidleigh Park is run by celebrity chef Michael Caines and holds two Michelin stars. Expect perfect French cooking, with a three course lunch menu costing £49.50. If you can’t stretch to that then try an indulgent afternoon tea. Another country house hotel, the Horn of Plenty sits in five acres of tranquil gardens (pictured below left). The restaurant serves consistently beautiful food and is popular with locals and holiday-makers alike. The grounds of this beautiful manor house are the perfect place to stretch your legs mid-journey, and it’s dog-friendly too. 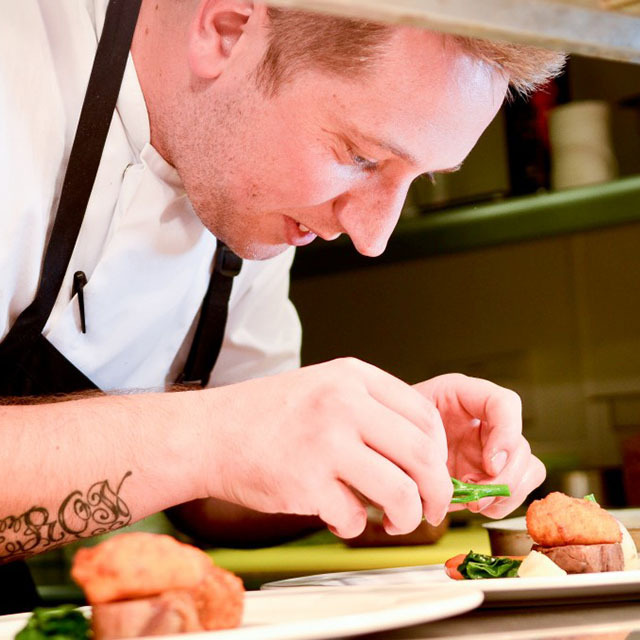 Head chef Matthew Peryer (above right) is renowned for his beautiful food and the lunch menu is well priced. This pretty Michelin-starred pub is very popular so make sure you book ahead. Food is fabulous and it’s obvious why the team here have won so many awards. The set lunch menu is very reasonable and even the bar snacks are worth stopping for. 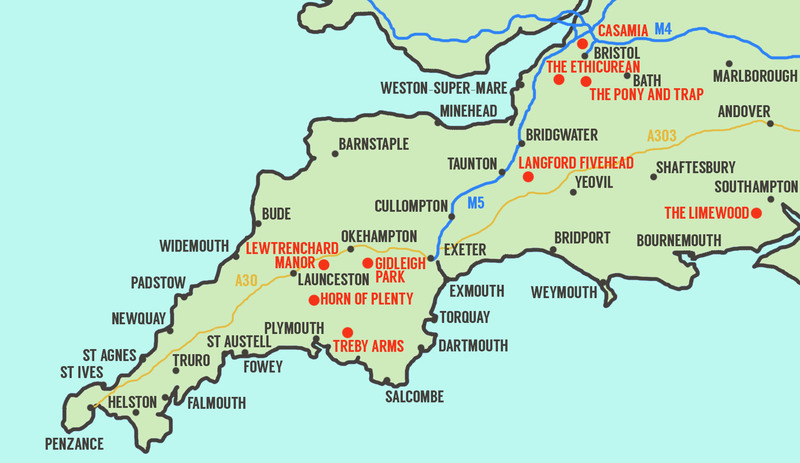 Have you found some special spots for refuelling on your way to Cornwall? Let us know your favourites in the comments section below. How about The Magdalen Chapter in Exeter… Just 5 minutes off the M5… A beautiful spa too with a wonderful indoor-outdoor pool and great alfresco dining! My folks swear by the bakery at West Camel on the A303, just after the Sherborne roundabout but before Yeovil. I’m always going too fast to stop but an excellent Bakewell.